Course Website: Official Website - Visit Royal Isabela's official website by clicking on the link provided. 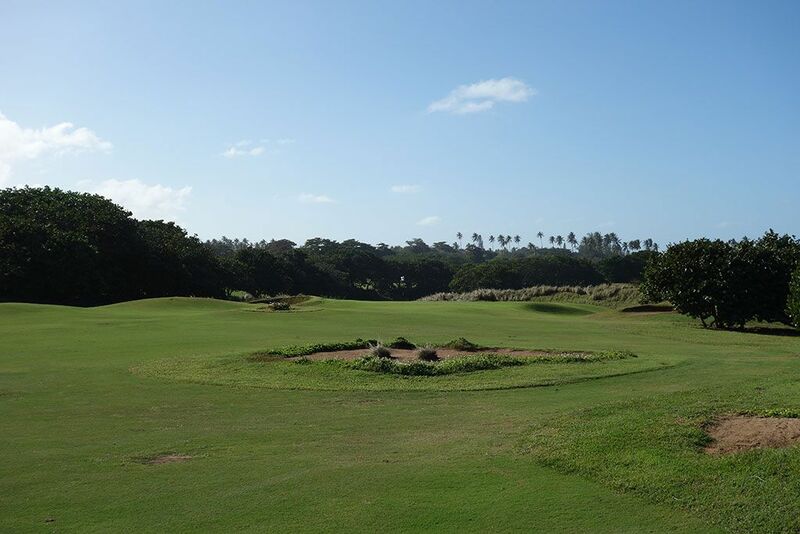 Accolades: Ranked 1st in Puerto Rico on Golf Course Gurus' Best in State list. What to Expect: Located on the rocky cliffs above the ocean on Puerto Rico's north shore near the west end of the island, Royal Isabela enjoys one of the most inspiring properties and stories in the Caribbean islands. 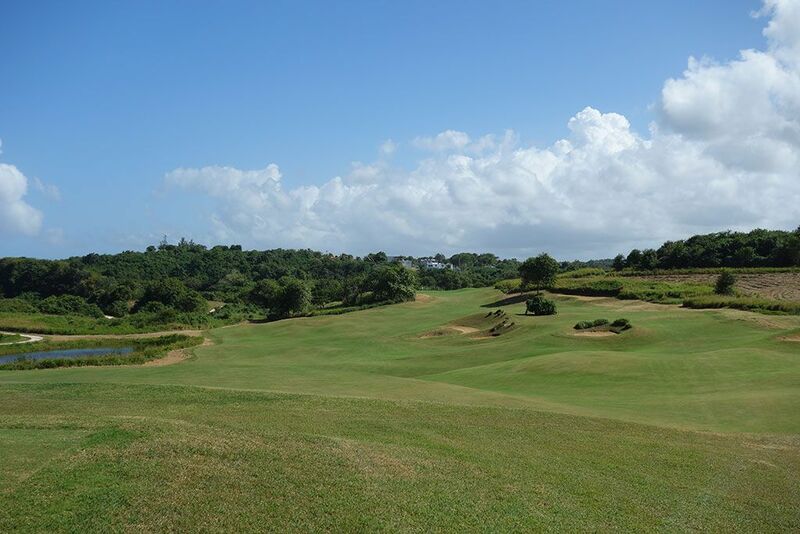 Brothers, Stanley and Charlie Pasarell, purchased the property with the idea of fulfilling a dream and developing an elite golf course with residential properties. A major philosophy among the principals is the preservation of nature as much as possible which is great most of the time but unfortunately leads to instances where the playing corridors aren't sufficient and too many blind shots result. From the white tees the course is substantially better than it is from the tips where trees, branches, and overgrowth impede play due to the odd placement and tiny size of the tee boxes. The outward nine is tight and very penal while affording views of the ocean from just two of the holes. The inward nine is comparable to the property found at Bandon Dunes where ocean cliffs, gorgeous views, and Irish styling dominates the personality. A double green is found on the back nine where the 12th and 14th holes share a putting surface and represents one of the most beautiful locations on the property. The greens throughout the property are rather small and missed shots highly penalized throughout the layout so you need to be on your 'A' game from start to finish. 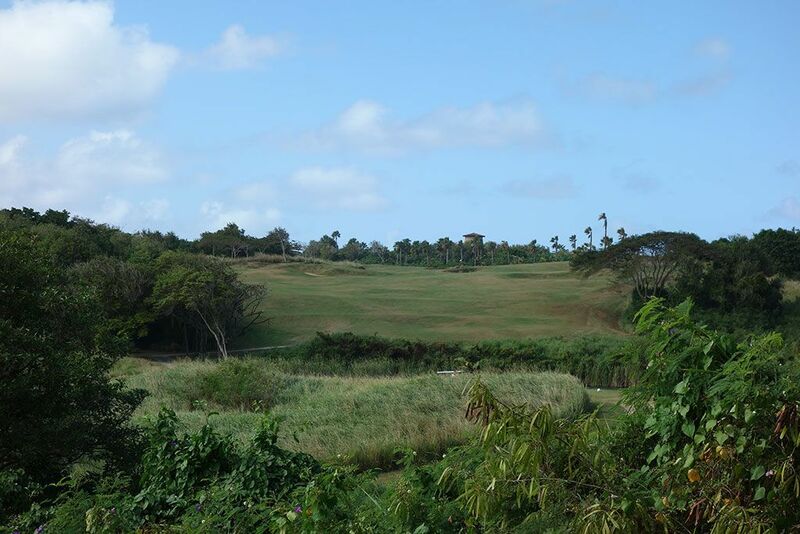 While the conditioning was reportedly fantastic in Royal Isabela's early years, the lack of positive cash flow is clearly taking its toll with the rough being riddled with weeds while the drying fairways and greens are being maintained to a pedestrian standard. Caddies are required at Royal Isabela, a necessary feature at a course with no tee markers and several blind shots, and will cost you $90 for every two players. The caddie will ride in his own cart and have a flag he carries that will signal the result of your shot; white is a ball sitting in the fairway, red means the ball is out of play, and shaking the double-ended flagstick side to side means the caddie can't tell for sure if the ball managed to stay in play. Overall I enjoyed Royal Isabela and the staff couldn't be better, but the course itself didn't meet my lofty expectations. Signature Hole: 12th Hole – 435 Yard Par 4 – The most exciting swing you'll take with your driver at Royal Isabela is from the tee box of this coastal coast four. 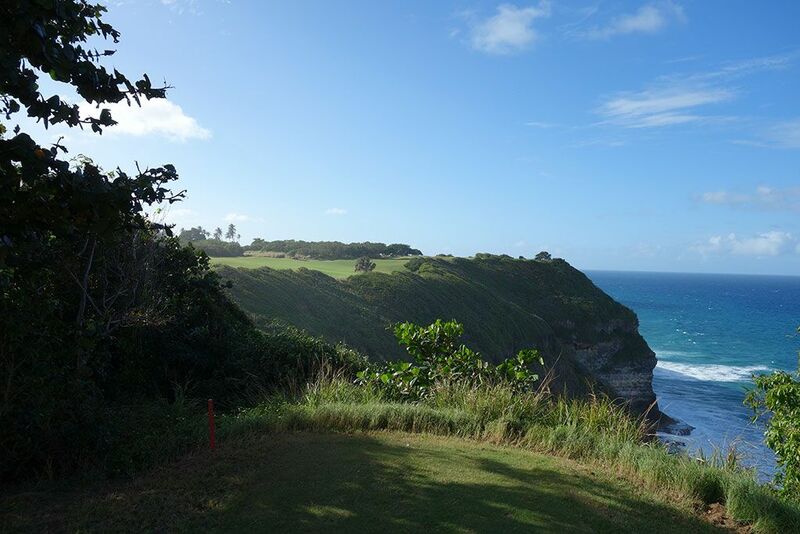 With the Pacific Ocean crashing in from the right, this dogleg right provides a dramatic setting that climbs uphill to a double green located on a bluff overlooking the water. From the tee this hole has a similar look to Pacific Dunes' famous 4th but the greensite couldn't be more different. The putting surface boomerangs around a pair of bunkers with the lower right side of the green creating a small plateau that the pin is often located in. 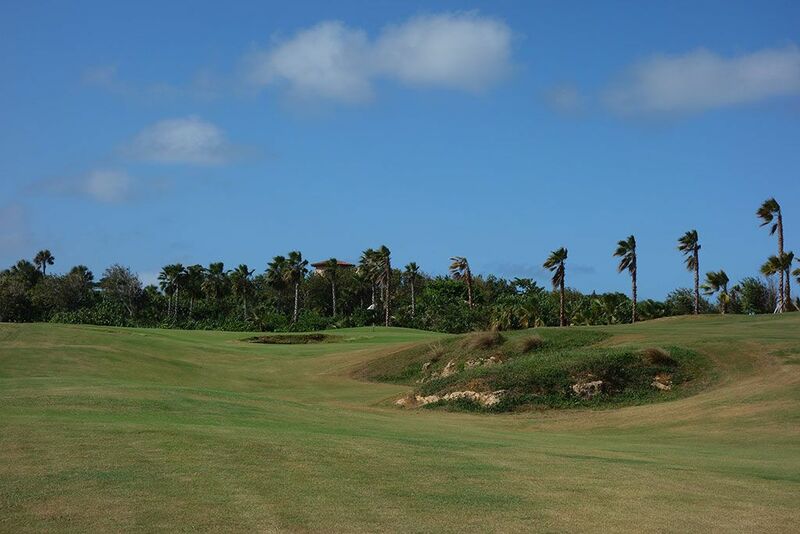 Best Par 3: 17th Hole – 200 Yards – If this isn't the prettiest hole in the Caribbean then I'm dying to see what is! 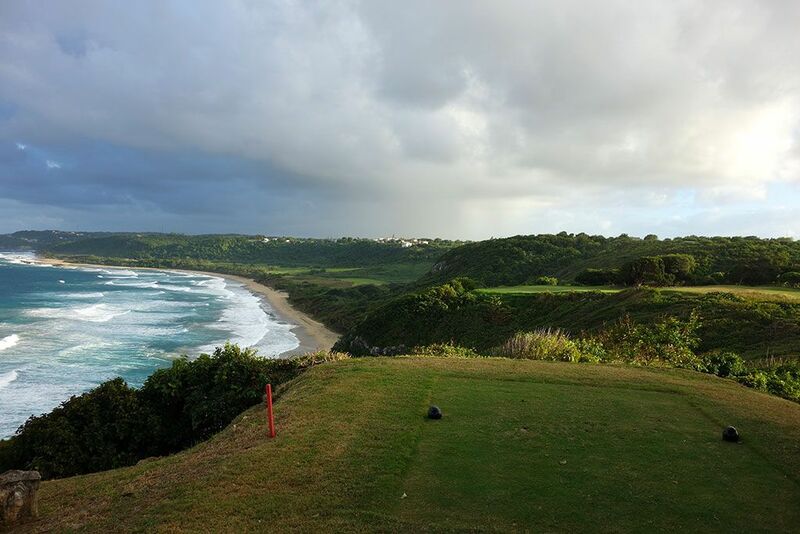 Royal Isabela's stunning par three 17th boasts Puerto Rico's rocky and dramatic north shore on the player's left while with crashing waves creating a phenomenal setting for a golf hole. The bail out area to the right provides a slightly elevated look down to the green that can be obscured by the mature tree shadowing the area. There is something inherently alluring to the ocean, and playing the world's best game along its shores has no equal. 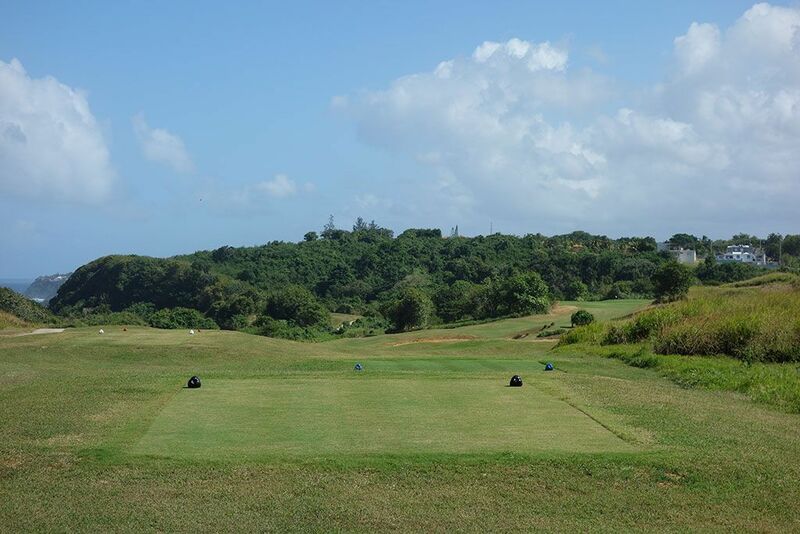 Best Par 4: 3rd Hole – 375 Yards – There are a variety of blind shots players contend with when playing from Royal Isabela's tips, but the dramatic second shot at #3 is what makes the blind tee shot here worthwhile. 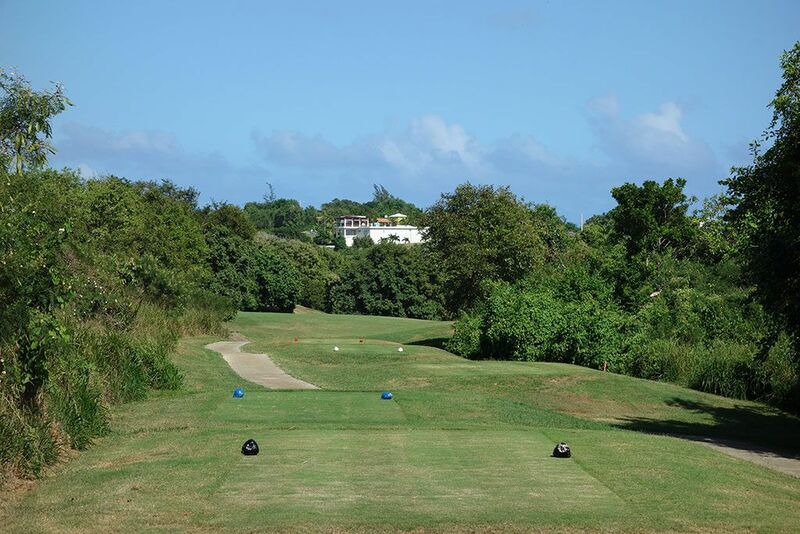 Players come from out of the trees to a rise in the fairway before they discover a severely downhill tee shot to a green surrounded by forest. A hill on the right side will help feed balls onto the putting surface while missing long or left will result in a lost ball. 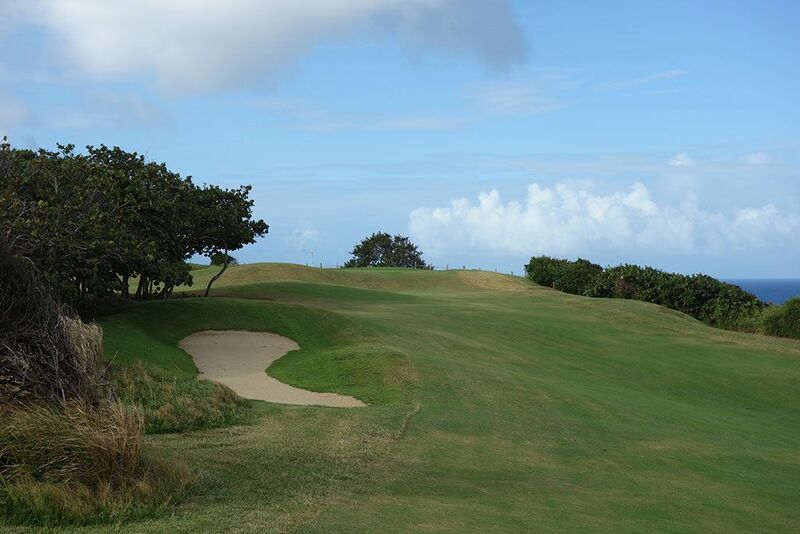 Best Par 5: 10th Hole – 578 Yards – The opening hole on the back nine provides one of the most unique and intriguing designs on Puerto Rico. The hole is shaped nearly like a fishing hook but more accurately like the letter 'L' with the end of the hole running completely perpendicular to the beginning of the hole. Two sentinel trees frame aiming area and a pond lies in wait on the left side of the dogleg for those looking to cut some yardage off the hole. Players that take their tee shot up the left side will be left with the opportunity to take a long iron or hybrid club over the trees protecting the left side of the green and possibility setup an eagle putt or an great birdie opportunity. Players taking the long route to the right will set themselves up for a third short to the most receptive opening to the green. 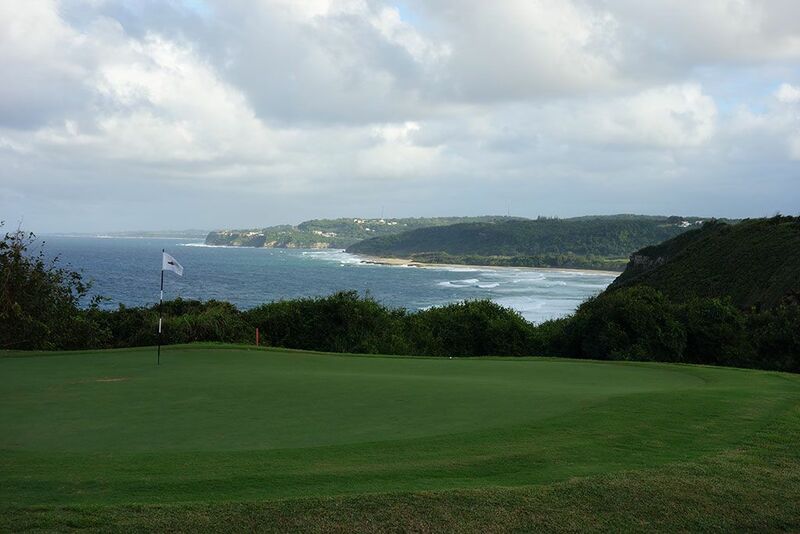 With a variety of wind conditions that can come rolling off the ocean, how you play this hole can change every day. Birdie Time: 1st Hole – 525 Yard Par 5 – The opening hole is kind to your scorecard at Royal Isabela with this reachable par five. A pond rests in the distance up the left side but shouldn't a a consideration given how wide the fairway is and how the smart play up the right side shortens the hole anyway. Approach shots should favor the right side of the green which features a hill that moves balls back towards the center of the green. Even without a warmup this should be an easy par and a great chance for a birdie. Bogey Beware: 6th Hole – 493 Yard Par 4 – This hole is a flat out brute. 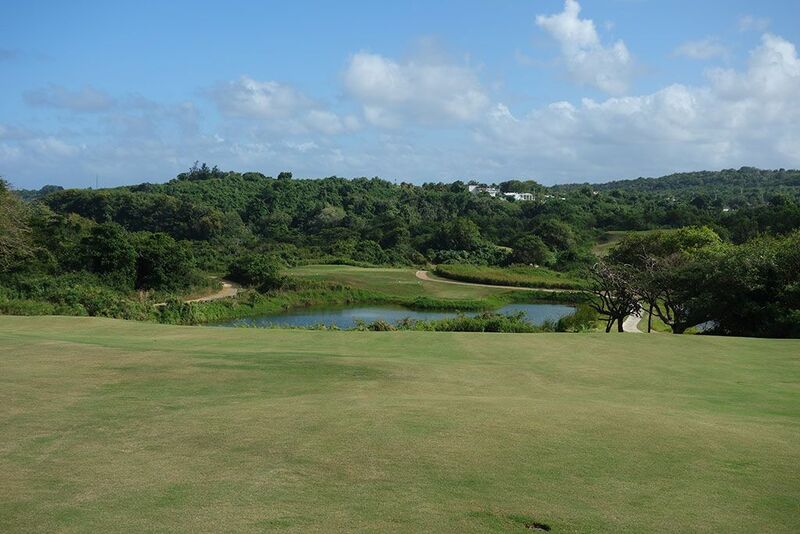 The tee shot plays over a pond to an undulated fairway where level lies are virtually non-existent. At nearly 500 yards from the tips and a good climb uphill the entire way home, reaching this green in regulation is a rare accomplishment. Patches of rock overgrown with vegetation and bunkering adds to the challenge, but flat out length will be the biggest obstacle to overcome to score well here. 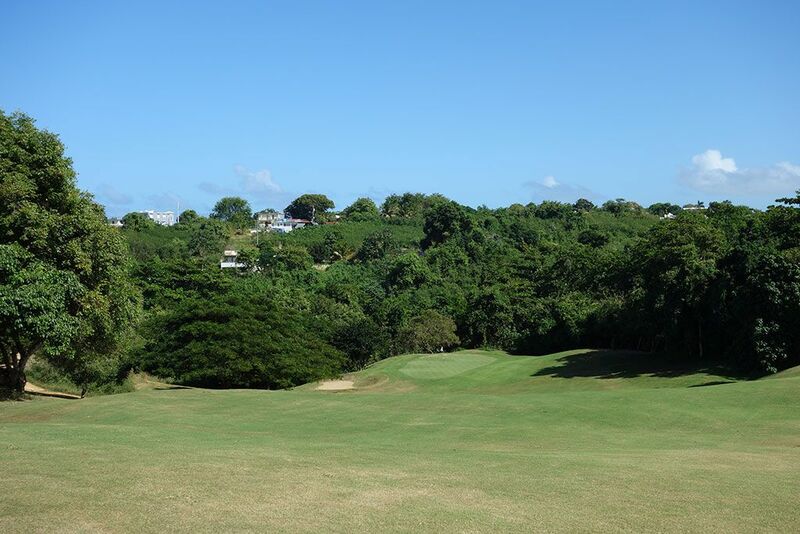 With the wind often blowing and the uphill climb requiring an extra club or two, #6 will require the best second shot of the round to walk away from here with anything but a bogey.